Cancer. Heart disease. Stroke. Alzheimer’s. Diabetes. Arthritis. Irritable bowel syndrome (IBS). Allergies. What do they all have in common? 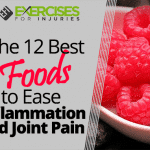 One thing: chronic inflammation. Inflammation is nothing new, but then again, it is. We know that the body creates inflammation to help heal wounds, infections, and illnesses, and for years, we didn’t think much more about it. But over the past several decades, scientists have found that inflammation can become dangerous under certain circumstances—specifically, when it becomes chronic. Suddenly, we found a side of inflammation we weren’t as familiar with—this potentially destructive, disease-causing side that can be very bad for our health. Though this is still a fairly new area of research, we do understand some things we can use in our battle to live long, healthy lives. If you want to feel as good as you can for as long as you can—or if you’d like to ease chronic pain—you owe it to yourself and your family to reduce your risk of chronic inflammation. We’ve got 17 ways you can do that. Inflammation is a natural immune response to an injury. If you cut yourself, the body’s defense systems, which include chemicals and immune cells, go to work marshalling other forces to create swelling and heat that protect the damaged area. Over time, these forces gradually heal the wound. You can think of inflammation as being your self-protection, military defense, and clean-up crew. It is the body’s response to an injury, disease, foreign invader, or even just a pimple on your face. That redness and puffiness is the immune system doing its job. Similar processes go to work when bacteria, viruses, or other invaders attack your body. This is why you can get over the common cold or flu, recover from pneumonia, or even battle a tooth infection. The immune system swings into action and quickly goes to work in a process called “acute inflammation.” Once the job is done, immune cells relax and allows all goes back to normal. This is the “best friend” side of inflammation. The problem occurs when the immune system fails to chill out. Because of some ongoing injury or other issue, it mistakenly continues to create inflammation, though often at a low level. Imagine a wound that instead of healing, continues to remain red and swollen for weeks and months at a time. This is “chronic” inflammation, and is the bad side of an otherwise helpful immune reaction. Scientists and doctors have become even more interested in this condition lately because of new research that has connected it to many of our modern-day diseases, and because inflammatory disorders like inflammatory bowel disease and rheumatoid arthritis are increasing. They found that those who had the highest scores, reflecting high levels of inflammation, were the most likely to die of any cause. High inflammation scores also predicted those patients who would die of cancer or cardiovascular disease. A more recent 2017 study found similar results. Researchers analyzed data from over 6,500 men and women aged 45-69. They collected blood samples in 1997-1999, then followed up with the participants through June 2015. High levels of C-reactive protein (CRP) predicted cardiovascular mortality. High levels of interleukin-6 (IL-6), a chemical active in inflammation, predicted all-cause mortality and cancer-related mortality. Chronic inflammation is a long-term type of inflammation that can last for several months and even years, slowly creating damage in the body that can have a cumulative effect. It’s been linked to all the diseases mentioned above, as well as to asthma, chronic peptic ulcers, rheumatoid arthritis, ulcerative colitis and Crohn’s disease, chronic sinusitis, and even depression. Many describe this type of inflammation as “low-level” inflammation or “the slow burn.” Since inflammation is associated with heat in the body, words like “fire” and “burning” are often used to describe it. And like a fire, it can gradually damage cells and tissues, and break down arteries and organs. This type of inflammation can be caused by a number of things, including bacteria and viruses, an overactive immune system, exposure to toxic agents (like heavy metals or air pollutants), automimmune diseases (like lupus, multiple sclerosis, and rheumatoid arthritis), obesity, poor diet, artherlosclerosis, and even insomnia. We still have a lot to learn. As Michelle Petri, a rheumatologist and a director of the Johns Hopkins Lupus Center, says, “Basic science hasn’t yet answered the major questions about inflammation.” What we do know, however, is that basic lifestyle choices can affect inflammation, and either improve or worsen its potential to cause damage. You can ask your doctor about this. A blood test that checks specifically for inflammatory markers can help determine whether or not you have chronic inflammation. Doctors look for things like C-reactive protein, TNF-alpha, and other components in the blood that tell them the immune system is overreacting. In simplest terms, if you have inflammation inside the body, these types of proteins and other substances are often released into the blood. They are by-products of the inflammatory process, sort of like road signs that signal the presence of inflammation. Doctors usually use these types of tests to diagnose disease, but you can also ask for them if you are feeling ill or if you are concerned that you may have chronic inflammation. Chronic inflammation can create a vicious circle of fire. Something triggers the inflammation to begin in the first place. It creates damage. The body recognizes that damage and marshals the immune system to fight it, which creates more inflammation. In other words, the body’s natural response perpetuates the problem. The other part of the issue is that we don’t want to tame the immune system so much that it can no longer do its job. If you have chronic inflammation, you want to calm it down, but you don’t want to slow it up so much that the next time you develop an illness you’re not able to fight it. Scientists are still figuring out how to deal with these difficulties, particularly with cardiovascular disease and arthritis. Currently, we have no medications that can specifically target chronic inflammation. We have over-the-counter drugs like aspirin and ibuprofen that provide temporary relief of acute inflammation, but they aren’t designed for long-term use. As researchers continue to learn more, you can reduce your risk of chronic inflammation—and if you already have it, reduce its affects on your body—with the following 17 steps. These are all things you can do that will protect you against too much inflammation, but that will still allow your immune system to work properly. You may have heard that it’s important to get 7-8 hours of sleep per night if you want to stay healthy. It’s true, as lack of sleep can increase your risk of many diseases, and even shorten your life. Part of the reason insomnia causes these problems may be related to the fact that it increases inflammation. In a 2010 study, researchers surveyed 525 middle-age people, asking about how long they slept each night and about the quality of that sleep. They found that individuals who reported sleeping for six hours or less had higher levels of three inflammatory markers, including C-reactive protein and IL-6. 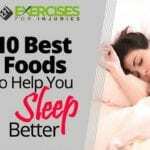 C-reactive protein levels in particular were about 25 percent higher in those getting little sleep compared to those getting between 6-9 hours a night. Do your best to get the recommended 7-8 hours by getting up and going to bed at the same time each day, keeping all technological gadgets out of the bedroom, keeping your room dark and cool, and engaging in relaxing activities like reading, stretching, or taking a warm bath before bed. 2. Enjoy your morning coffee. Researchers have found that caffeine can help lower inflammation. They studied data from 100 participants in a multi-year study, and concluded not only that 90 percent of all non-infectious diseases were associated with chronic inflammation, but that coffee could protect against these conditions. The scientists acknowledged that inflammation is associated with aging, but found that older participants who drank more caffeinated beverages had less inflammation in their bodies. Subsequent laboratory tests showed that it was the caffeine that was protecting them. 3. Keep your weight under control. Studies in the laboratory have shown that fat cells actually trigger the release of immune cells involved in the inflammatory process. These immune cells, instead of fighting off invaders like they’re supposed to, go after healthy nerves, tissues, and organs. The more weight you gain, the more immune cells are triggered, and the worse the inflammation becomes. Fortunately, losing weight can help. According to a 2008 study, participants who lost weight showed improvements in inflammatory markers in the blood, with the greatest improvements seen in patients achieving a weight loss of at least 10 percent. “Losing weight can have profound effects on lowering inflammation,” Todd Brown, an endocrinologist who researches inflammation, told Johns Hopkins. You already know that exercise is good for your health, but several studies have also indicated that it can have a direct effect on inflammation. Just 20 minutes of exercise can have anti-inflammatory effects, researchers reported in 2017. They had participants walk on a treadmill for 20 minutes, and took blood samples both before and after the sessions. They found that the exercise, even though it lasted only a short time and was at a moderate level, resulted in a five percent decrease in the number of cells producing TNF, which is another type of inflammatory marker. They added that exercise need not be intense to be effective. 5. Adopt a daily stress-relieving activity. Do you have a regular yoga or tai chi practice? Do you meditate, or spend time with a treasured pet? These activities all help relieve stress, which is another cause of inflammation. You already know that a lot of stress isn’t good for your health. Some scientists think that part of the reason is that stress contributes to the slow burn. Researchers from Carnegie Mellon University put 276 adults through an intensive stress interview, and then exposed them to a virus that causes the common cold. The found that when people experienced a prolonged stressful event, their immune cells didn’t respond like they should to hormone signals that normally regulate inflammation. As a result, they were more likely to develop colds. We all experience stress most every day, so try to incorporate a daily activity that works as a release valve. Exercise of any kind is a great option, but you can also listen to relaxing music, get a massage, spend some time with a good friend, take a walk, or enjoy some time in nature. 6. Avoid high-sugar, highly processed foods. 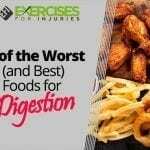 Some foods that are common in the modern Western diet actually promote inflammation in the body. Eating a diet high in sugar and saturated fats, for example, was connected to higher inflammation levels and risk or premature death from any cause, according to a 2013 study. For this study, researchers followed over 10,000 men and women from 1987 and 2003, and found that those consuming the most pro-inflammatory diet had a 53 percent higher risk of mortality during the course of the study, compared to those who had the most anti-inflammatory diet. Another 2016 study of over 37,000 women found similar results, in that those who ate a more pro-inflammatory diet were more likely to die from cancer, cardiovascular disease, and chronic obstructive pulmonary disease (COPD). Foods that encourage inflammation include fast food, high-sugar foods, fried foods, foods with trans-fats, refined flour foods like white bread and white pasta, artificial sweeteners, artificial additives, “bad” saturated fats (like those in chips and pizza), and processed meats. A number of studies have shown that “good” fats, can actually help fight chronic inflammation. We have significant research on omega-3 fatty acids, in particular, showing that they can reduce inflammation in the body. In fact, these fatty acids are so effective that they work just as well as anti-inflammatory drugs in some cases. Researchers followed 250 patients with neck and back pain for about 75 days. These patients were asked to take 1,200 mg of omega-3 essential fatty acids (EFAs) in a fish oil supplement, and then were asked to fill out a questionnaire after the study period was over. Results showed that over half (59 percent) of the patients stopped taking the anti-inflammatory drugs they had been taking for pain, 60 percent stated their overall pain had improved, and 60 percent reported their joint pain had improved. Eighty percent said they were satisfied with the results they had experienced, and 88 percent planned to continue taking the supplements. “Our results mirror other controlled studies that compared ibuprofen and omega-3 EFAs demonstrating equivalent effect in reducing arthritic pain,” researchers wrote, adding that these supplements appeared to be a safer treatment for neck or back pain than standard over-the-counter pain pills. Several other studies have shown similar results, with omega-3s proving effective against inflammation. Some studies have even found them to be effective at soothing inflammatory conditions like Crohn’s disease, ulcerative colitis, psoriasis, lupus, and multiple sclerosis. You can eat more omega-3-rich foods like fatty fish, walnuts, flaxseed, cod liver oil, hemp seeds, egg yolks and anchovies, or use an omega-3 supplement. 8. Add more yogurt to your diet. If you don’t like yogurt, try kefir, sauerkraut, tofu, miso, or any other fermented food, or go for a probiotics supplement. Studies have shown that probiotics can help keep chronic inflammation at bay. In a 2009 study, for instance, researchers named a number of inflammatory conditions that were improved with probiotics (including lactobacilli and bifidobacteria, the two most commonly found in yogurt and in supplements). They noted that they can help reduce diarrhea in children and lower the risk of traveler’s diarrhea in adults. Supplementation with probiotics has also been found to help reduce the risk and severity of allergies, particularly dermatitis. Researchers later discovered in an animal study that probiotics improved chronic inflammatory disease by changing the communication between the immune system and the brain. When they gave subjects probiotics, symptoms like fatigue and depression—which are commonly associated with inflammatory diseases like rheumatoid arthritis and inflammatory bowel diseases—subsided. A more recent 2017 study review provided even more direct evidence that probiotics tame inflammation. Researchers examined data from 20 studies, and found a significant reduction in C-reactive protein measurements following the administration of probiotics. 10. 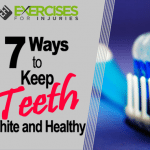 Take care of your teeth and gums. You may have heard that gum disease can increase your risk of heart attack and stroke. That’s because the bacteria that causes gum disease can travel through the bloodstream to affect other systems in the body, and also because the resulting inflammation can lead to high blood pressure and heart failure. Indeed, when people treated oral inflammation and got their teeth and gums in better shape, they experienced corresponding improvements in measures of systemic inflammation. So if you have bleeding gums, get to the dentist right away, not only for the health of your teeth, but the rest of your body as well! If you have high cholesterol levels, it’s important to get them under control, as they can increase your risk of chronic inflammation. Researchers call inflammation LDL “bad” cholesterol’s “partner in crime” when it comes to things like heart disease. Without inflammation, high cholesterol wouldn’t be nearly as dangerous as it is. Scientists have found that when cholesterol gets into the arteries, it triggers the body’s immune response. The immune system sees it as causing an injury, and so it starts the inflammatory process. Unfortunately, the presence of inflammation actually speeds up the accumulation of cholesterol in the arteries, leading to artery narrowing and stiffness. Over time, the cholesterol buildup hardens into a plaque, which increases the risk of blood clots, heart attack, and stroke. On the other hand, HDL “good” cholesterol can help protect against inflammation. Researchers reported in 2013 that HDL cholesterol has anti-inflammatory effects on immune cells. This is another good reason to exercise, as exercise helps increase HDL good cholesterol levels. If you have high cholesterol, make sure you’re doing what you need to do to keep it under control. If you do, you’ll have less inflammation to worry about. 12. Avoid exposure to heavy metals. Mercury (found in some large fish), diesel exhaust, cigarette smoke, and other similar toxins are seen as the immune system as invaders, and spark an inflammatory response. The body actually has to detoxify itself to get rid of these invaders, and over time, especially if you are exposed at high levels, the immune system can start to overreact. Always follow safety protocols when working around dangerous chemicals and heavy metals. Get a water filter for your tap water that filters out heavy metals and other toxins. Regularly dust and vacuum your house. Avoid exercising in heavy-traffic areas. Try to stay indoors during times of high pollution. Regularly ventilate your home by opening a window and using an air purifier. Choose household products that are low in toxins. 13. Get enough vitamin D.
Vitamin D, especially when combined with weight loss, may be important in the fight against chronic inflammation. Researchers conducted a trial with 218 overweight, postmenopausal women who started out with less than optimal levels of vitamin D. The women participated in a 12-month diet and exercise program. Half of them took 2,000 IU of vitamin D daily, and the other half received a placebo. Researchers followed their progress, and took blood samples to test for inflammation at the beginning and end of the study. They found that at the end of the study, all participants had reduced their levels of inflammation, highlighting the importance of diet, exercise, and weight loss. But those who saw the most significant decline were those who took the vitamin D and lost 5-10 percent of their weight. Other studies have indicated that vitamin D can help tame inflammation, but you have to be sure you’re getting enough, as just a little won’t do. In 2012 for example, researchers reported that cells incubated with no vitamin D, and then put into a solution containing 15 ng/ml of the nutrient, produced high levels of inflammatory markers, whereas cells incubated in 30 ng/ml vitamin D and above inhibited the inflammatory reaction. You can ask your doctor for a blood test to determine if you’re short on vitamin D. In addition, get at least 15 minutes of exposure to the sun per day (minus sunscreen), or take vitamin D supplements. If you are allergic or even sensitive to certain foods, they can spark an inflammatory reaction in the body. Common causes include gluten, dairy proteins, and wheat. If you have sensitivities to any of these or to other foods, it’s important to avoid them to keep inflammation from taking over. Allergies are an immune problem anyway, right? The immune system sees the food as an invader and attacks unnecessarily. That’s what causes symptoms like hives, swelling, and anaphylaxis. The problem occurs when you don’t realize that you may have a food allergy or sensitivity. It could be that the food affects you at a low level, so the symptoms aren’t as dramatic, but they can lead to long-term inflammation. If you continue to eat these foods without being aware of their effects, you may be causing inflammation in the gut, which can spread to other tissues. To zero in on what may be causing symptoms like digestive illness and excessive fatigue, check with your doctor. He or she can rule out celiac disease (caused by an intolerance of gluten), and can also test for various food extracts and additives that may be bothering you. The Alcat Test, for example, allows the doctor to test individual food items to determine the immune response. These sorts of tests, along with a daily diary of what you eat and drink and how it affects you, can all help you to determine any foods that may be causing inflammation. 16. Eat more tart cherries. These healthy fruits have been found to be powerful inflammation fighters. Research has focused on them specifically for those with arthritis, but their effects can be helpful for anyone. In 2012, scientists reported that women aged 40-70 with inflammatory osteoarthritis who drank tart cherry juice two times per day for three weeks significantly lowered their inflammation markers. The treatment was especially helpful for those who started out with the highest levels of inflammation. An earlier study also reported that tart cherry juice helped relieve muscle pain during running. Muscle pain is typically caused by inflammation. Researchers noted that long-distance running “causes acute muscle damage resulting in inflammation,” and that athletes typically take non-steroidal anti-inflammatory drugs like aspirin and ibuprofen to prevent or reduce pain. 17. Drink more green tea. Studies have found that green tea has powerful anti-inflammatory properties, particularly in postmenopausal women. In one study, for instance, researchers found that women who regularly drank green tea had healthier bones and lower inflammation than those who didn’t. If you’re not a fan of tea, green tea supplements may work. In a 2017 study, researchers found that supplementation of green tea reduced inflammation markers, and also improved blood pressure. Michael Anft, “Understanding Inflammation,” Johns Hopkins Health Review, Spring/Summer 2016, 3(1): http://www.johnshopkinshealthreview.com/issues/spring-summer-2016/articles/understanding-inflammation. Michael J. Proctor, et al., “Systemic Inflammation Predicts All-Cause Mortality: A Glasgow Inflammation Outcome Study,” PLoS One, March 2, 2015; 10(3):e0116206, http://journals.plos.org/plosone/article?id=10.1371/journal.pone.0116206. Archana Singh-Manoux, et al., “Association between inflammatory biomarkers and all-cause, cardiovascular and cancer-related mortality,” CMAJ, March 13, 2017; 189(10):E384-E390, http://www.cmaj.ca/content/189/10/E384. “Caffeine may counter age-related inflammation,” Stanford University News Center, January 16, 2017, https://med.stanford.edu/news/all-news/2017/01/caffeine-may-counter-age-related-inflammation-study-finds.html. Ryan T. Demmer, et al., “Periodontal infections and cardiovascular disease: The heart of the matter,” JADA, October 2006; 137: 14S-20S, https://www.ada.org/~/media/ADA/Member%20Center/FIles/Perio_heart.pdf?la=en. “Pro-Inflammatory Diet Linked to Earlier Death,” American Institute for Cancer Research, [Press Release], November 7, 2013, http://www.aicr.org/press/press-releases/pro-inflammatory-diet-link-earlier-death.html. Nitin Shivappa, et al., “Association between inflammatory potential of diet and mortality in the Iowa Women’s Health Study,” Eur J Nutr., June 2016; 55(4):1491-1502, https://www.ncbi.nlm.nih.gov/pmc/articles/PMC4892110/. Forsythe LK, et al., “Obesity and inflammation: the effects of weight loss,” Nutr Res Rev., December 2008; 21(2):117-33, https://www.ncbi.nlm.nih.gov/pubmed/19087366. Catherine Duggan, et al., “Effect of Vitamin D3 Supplementation in Combination with Weight Loss on Inflammatory Biomarkers in Postmenopausal Women: A Randomized Controlled Trial,” Cancer Prevention Research, July 2015; 8(7): http://cancerpreventionresearch.aacrjournals.org/content/8/7/628. Yong Zhang, et al,. “Vitamin D Inhibits Monocyte/Macrophage Proinflammatory Cytokine Production by Targeting MAPK Phosphatase-1,” The Journal of Immunology, March 1, 2012; https://www.ncbi.nlm.nih.gov/pubmed/22301548. Alanna Morris, et al., “Sleep Quality and Duration are Associated with Higher Levels of Inflammatory Biomarkers: the META-Health Study,” Circulation, November 23, 2010, http://circ.ahajournals.org/content/122/Suppl_21/A17806.short. Simopoulos AP, “Omega-3 fatty acids in inflammation and autoimmune diseases,” J Am Coll Nutr., December 2002; 21(6):495-505, https://www.ncbi.nlm.nih.gov/pubmed/12480795. Chun Hay Ko, et al., “Effects of Tea Catechins, Epigallocatechin, Gallocatechin, and Gallocatechin Gallate, on Bone Metabolism,” J Agric Food Chem, 1009; 57(16): 7293-7297, http://pubs.acs.org/doi/abs/10.1021/jf901545u. Grace Rattue, “Osteoarthritis Patients May Benefit from Drinking Tart Cherry Juice,” MedicalNewsToday, June 1, 2012; http://www.medicalnewstoday.com/articles/246114.php. Kerry S. Kuehl, et al., “Efficacy of tart cherry juice in reducing muscle pain during running: a randomized controlled trial,” J Int Soc Sports Nutr., 2010; 7:17, https://www.ncbi.nlm.nih.gov/pmc/articles/PMC2874510/. Priyanka Chatterjee, et al., “Evaluation of anti-inflammatory effects of green tea and black tea: A comparative in vitro study,” J Adv Pharm Technolo Res., April-Jun 2012; 3(2):136-138, https://www.ncbi.nlm.nih.gov/pmc/articles/PMC3401676/. Monika Szulinkska, et al., “Effects of green tea supplementation on inflammation markers, antioxidant status and blood pressure in NaCl-induced hypertensive rat model,” Food Nutr. Res., 2017; 61(1):1295525, https://www.ncbi.nlm.nih.gov/pmc/articles/PMC5345575/. De Nardo D, et al., “High-density lipoprotein mediates anti-inflammatory reprogramming of macrophages via the transcriptional regulator ATF3,” Nat Immunol., February 2014; 15(2):152-60, https://www.ncbi.nlm.nih.gov/pubmed/24317040. Lomax AR, Calder PC, “Probiotics, immune function, infection and inflammation: a review of the evidence from studies conducted in humans,” Curr Pharm Des, 2009; 15(13):1428-518, https://www.ncbi.nlm.nih.gov/pubmed/19442167. Mazidi M, et al., “Impact of Probiotic Administration on Serum C-Reactive Protein Concentrations: Systematic Review and Meta-Analysis of Randomized Control Trials,” Nutrients January 3, 2017; 9(1): https://www.ncbi.nlm.nih.gov/pubmed/28054937. Society for Neuroscience, “Probiotics improve behavioral symptoms of chronic inflammatory diseases in mice,” Science Daily, July 28, 2015; https://www.sciencedaily.com/releases/2015/07/150728194936.htm. Ana Sandoiu, “Just 20 minutes of exercise enough to reduce inflammation, study finds,” MedicalNewsToday, January 16, 2017, http://www.medicalnewstoday.com/articles/315255.php. Barbara J. Nicklas and Tina E. Brinkley, “Exercise Training as a Treatment for Chronic Inflammation in the Elderly,” Exerc Sport Sci Rev., October 1, 2010; 37(4):165-170, https://www.ncbi.nlm.nih.gov/pmc/articles/PMC2789351/. Cohen, S., et al., “Chronic stress, glucocorticoid receptor resistance, inflammation, and disease risk,” PNAS, April 2, 2012, https://www.ncbi.nlm.nih.gov/pmc/articles/PMC3341031/.